Every person plays a role in keeping our air, land, and water clean of health-damaging pollutants. In fact, you probably take at least one eco-friendly action every day, such as recycling or reducing your carbon footprint by conserving energy. 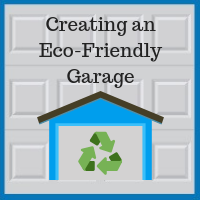 So when you make plans to build a new garage, why not make it a priority to use earth-friendly building methods and materials? Two ways you can do this are to reuse or recycle construction debris and to choose energy-efficient building materials. When an old garage is torn down, what happens to the old siding, framing, roofing, and other materials? Historically, it all went to landfills. Today, more recycling and reuse of materials is happening. The problem of construction and demolition debris is bigger than most people realize. The U.S. produces over 75 million tons of debris each year, including wood, drywall/plaster, brick/tile, and asphalt shingles—and that is just from buildings. Road and bridge projects produce another 470 million tons of concrete, asphalt, and steel debris. All told, construction and demolition debris outweighs municipal solid waste by a factor of two to one. Over the past five to 10 years, Cook County, DuPage County, and other Chicago area counties have passed ordinances and published bulletins to encourage more recycling and repurposing of construction and demolition debris. Cook County’s ordinance states that it can be feasible to recycle or reuse as much as 70% of construction waste. If you are having an old garage torn down to make room for a new one, be sure to ask your builder whether any of the materials from the old garage can be repurposed or recycled. Is your garage a workshop as much as it is a parking and storage space? Do you find yourself running a fan in the garage on hot days and a space heater on cold days? If you answered yes to these questions, then tell your garage builder that energy efficiency is important to you. Your garage contractor should be able to provide good recommendations for energy-efficient windows, doors, siding, thermal and reflective insulation, and other materials. Here is a particularly useful fact for you: Buildings with light-colored roofs use 40 percent less energy for cooling than buildings with dark-colored roofs. When choosing a garage contractor in DuPage County to build your new garage, be sure to ask them what they do to be environmentally responsible builders. 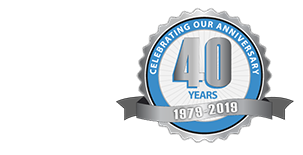 Blue Sky Builders of Downers Grove has been in the business of building garages in the Chicago area for over 40 years, and we care about being good citizens in the communities where we live and work. Call us at 630-852-8485 for a free estimate on your garage building or remodeling project.